I am really happy with my draws. Atlantis came from my last diamond seal pull. I actually ran out of diamonds and started doing 1 draw at a time whenever I got 5 diamonds. (11-21-2017, 09:21 AM)[SG] frozen slime Wrote: Just wondering is daji still relevant? There wasn't many 15s time tunnels in e past. Now there is Atlantis, khaos and Ophiuchus. Problem is daji is rly only 10s time tunnel and 1.9x if u dissolve all the runes. It's prob more like a 1.8x with leftovers you always have and cant dissolve. At the time of VR, several of us complained that MH intentionally soft VRd the card considering Wukong. Also comparing daji to endor or skuld felt cheap. Remember Daji is expensive to VR and u likely wont have a dupe where the before mentioned was farmable ftp. Several people also defended MH but ultimately they softballed the card. It is basically an avg seal card. I doubt they change the card because MH doesnt like to admit a mistake. I would like a team passive but bascically daji is an aged loner card. Did 10-draw, spent my 3 ancient seal draws and got... fire Yan. First black card, the only one I didn't want... Ended up purchasing de 30+30 pack of this week's promotion. Did another 10-draw, the corresponding ancient seal and... another fire Yan. Determined on getting Atlantis, started doing normal draws one at a time. Got Atlantis on the first one. Total: 21 draws and 4 ancient seal draws. 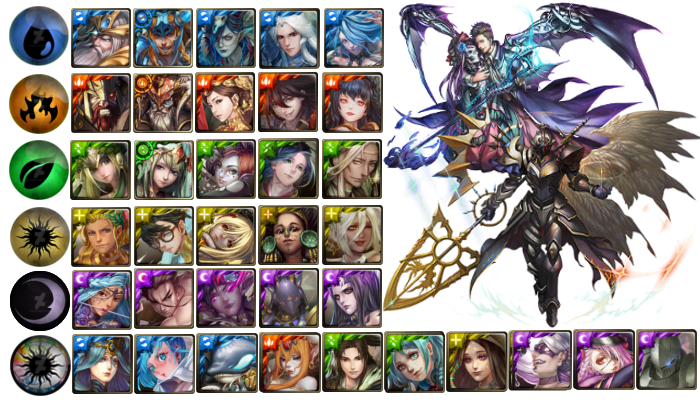 Non-dupes: Rococo, Medea, Cao Cao, Fafnir, Domon, Ao Wang, fire Yan, Keeper of Light, Izanami, Inari, Ali Baba, Galio and ATLANTIS.